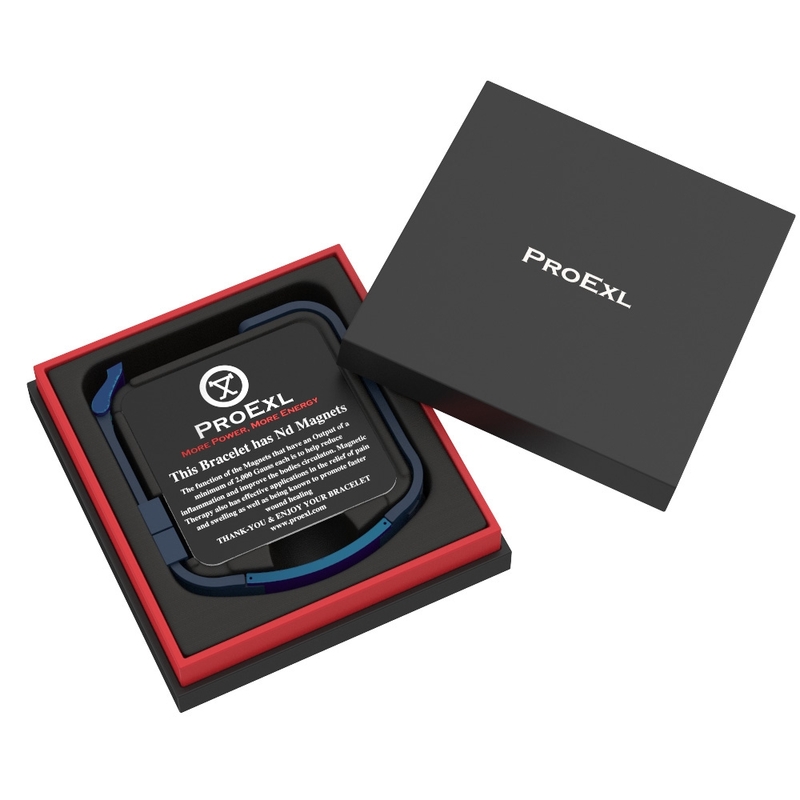 This 2 in 1 ion Technology Bracelet features a Polished Stainless steel face finished in a Carbon Blue color and features the ProExl logo. The back of the faceplate has 3 ND magnets each with 2000 gauss giving a total output of 6000 gauss. 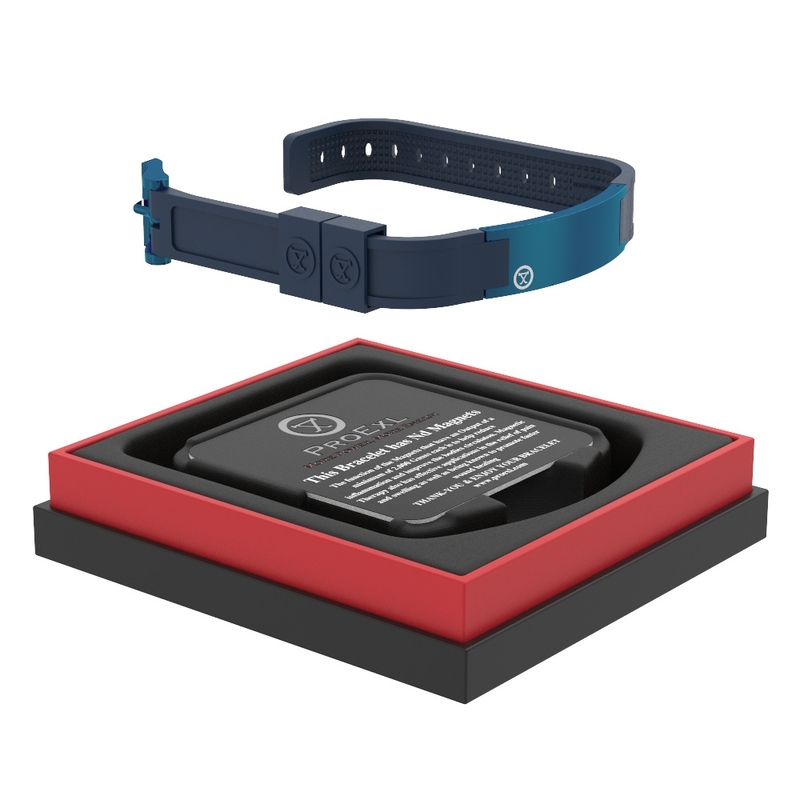 The Dark Blue silicone bracelet is Adjustable and contains ions that makes it one of the very Best on the market today. 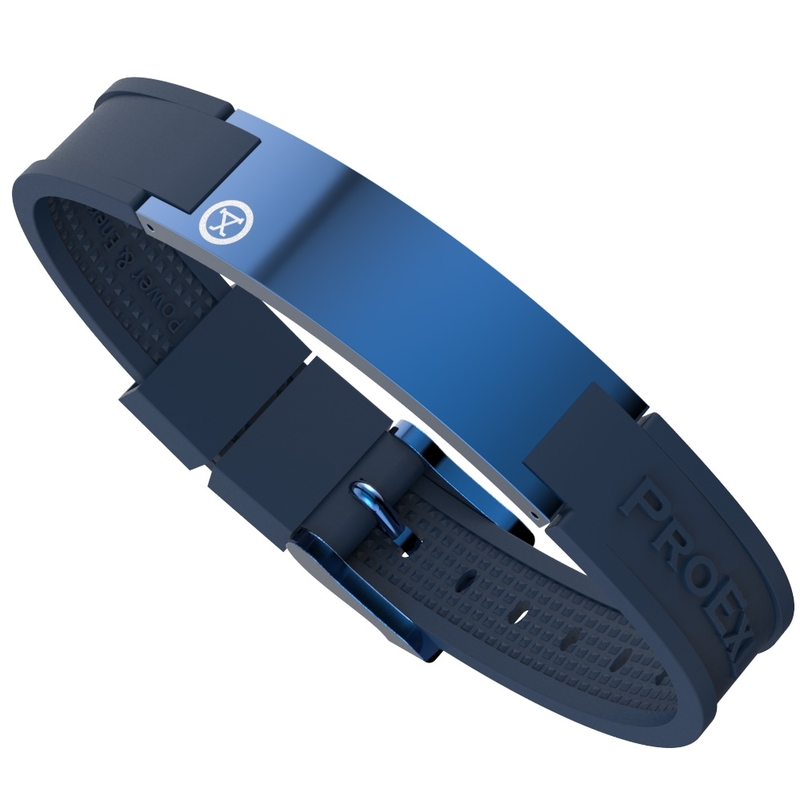 This exclusively made Bracelet not only looks great but has ions and magnets. Materials faceplate: Stainless steel polished finish. Materials faceplate: Stainless steel polished finish .